Like anything, reading--enjoying books--comes to some naturally and to others it's more a struggle. My eleven-year-old is one of those who wants to love reading, but for whatever reason finds it overwhelming. She adores the idea of books. Loves the cover art. But when it comes to staying engaged cover-to-cover, it's a challenge. My daughter also happens to be an artist and very visual person. Once she moved past early chapter books, she found the novels written for her age were too heavy. Too long. And, strike three, didn't have any illustrations. But! Last year she read a book. Cover-to-cover. In ONE sitting. 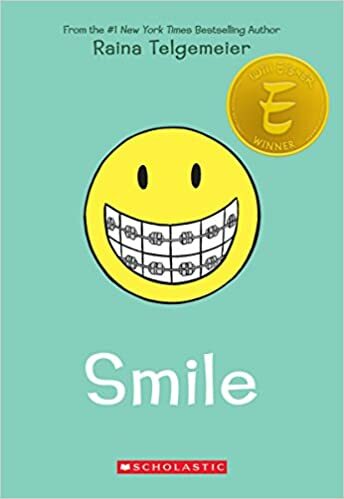 Thank you, Raina Talgemeier for writing SMILE! Graphic novels seem to sometimes get less respect as books because they don't have ALL of the words. Untrue. A lovely, funny, wonderfully strange series of pictures can conjure just as much emotion as your most gripping of novels, especially when in the hands of a young reader who only need find a book that works for them. Sometimes all we need is a different lens. 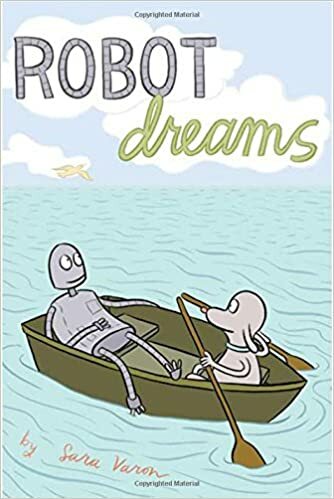 Robot Dreams by Sara Varon. This is literally a book without words and it's brilliant. 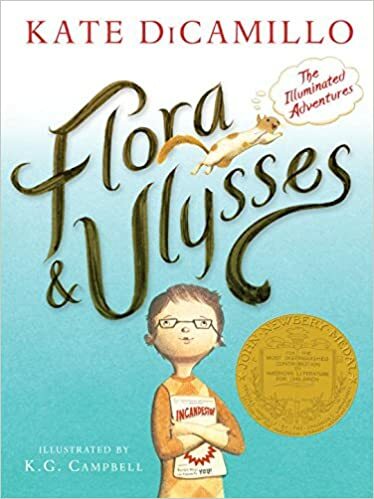 Flora and Ulysses by Kate DiCamillo. This one skirts closer to novel form, but the art!!! It definitely held my graphic novel lover's interest. 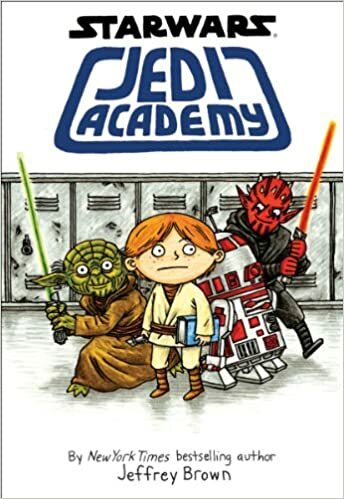 Star Wars, Jedi Academy by Jeffrey Brown. Star Wars? Great illustrations? Win, win. This BARELY scratches the surface of what's out there. 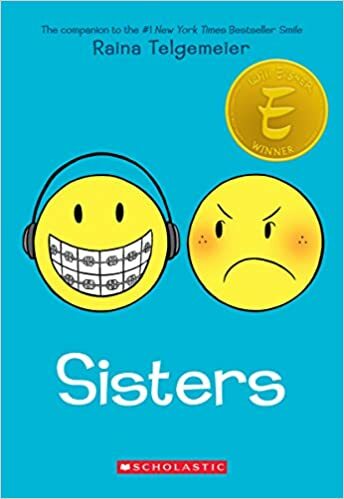 You can find graphic novels from classics like A Wrinkle in Time to work by the great Neil Gaiman in Coraline to popular series like Percy Jackson, The Lightning Thief. Thank you so much for this. My son struggles as well with reading and I am of the mindset that everyone loves to read but those that don't think they do just haven't found the book they love yet. So I have tried so many different books with him and finally my husband took him to Half Priced books and got him a graphic novel (Star Wars) and he read it non-stop. I didn't even really know what a graphic novel was until then. So I agree, get anything in their hands to open up their minds and love of reading! Way to go, Jessika! You're always brilliant! Great article! My 9-year-old is mostly a non-fiction reader (he has my husband's engineer, no-nonsense brain), but when he does delve into fiction, it's mostly graphic novels. He read all the Big Nate books (and there are so many!) in a week. He has a great imagination, but will always choose to *see* the story (i.e. in a movie) to reading it. Graphic novels are a great way of giving him the visuals he likes in a lovely paper format. This might be his preference forever, or it might be the bridge to enjoying fiction without images, but either way, I love it! When I volunteered in the elementary school Captain Underpants, Zita the Space Girl, and Dork Diaries were always being checked out. Comic books, like Calvin and Hobbes, also don't get nearly as much credit as they should for encouraging struggling readers. Great post, Jessika! My son is also a visual kid and preferred the graphic novel format. He devoured the Amulet series and the Bone series. Now he's a little older, and a straight up novel can hold his attention more, but he still reaches for the graphic novel whenever he can. Thanks, Ella. Love both those series! Honestly, I dig in as much as my girls do - I'm a total sucker for awesome illustrations!